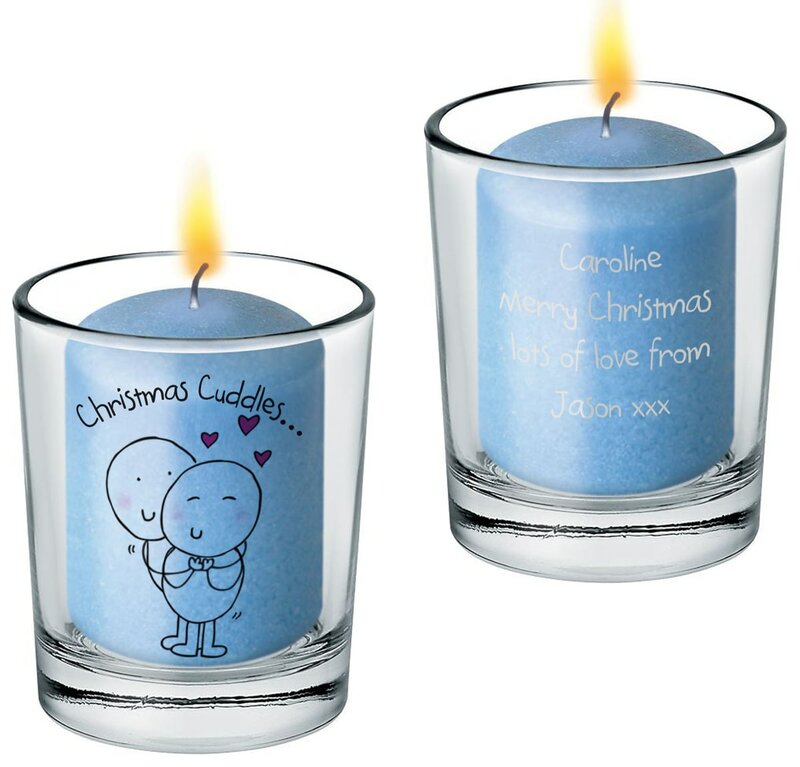 This cute Christmas votive lets them know they're loved and makes a useful gift too. Whether you send this to the recipient, or give it in person, they're sure to receive your Christmas cuddles with a smile when they see cheeky Chilli and Bubble smiling above your personal message. This cute Christmas Clock lets them know they're loved and makes a useful gift too. Your personal message of festive cheer is lovingly engraved beneath this cuddly couple of Chilli and Bubbles characters to make the perfect Christmas gift.